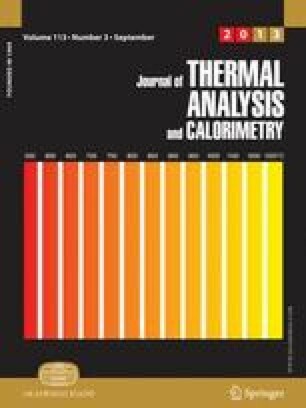 A comparative study of both conventional rising temperature and sample-controlled methods, like constant rate thermal analysis (CRTA), is carried out after analyzing a set of solid state reactions using both methods. It is shown that CRTA avoids the influence of heat and mass transfer phenomena for a wide range of sample sizes leading to reliable kinetic parameters. On the other hand, conventional rising temperature methods yield α–T plots dependent on experimental conditions, even when using samples sizes smaller than 2 mg. Moreover, it is shown that the discrimination of overlapping processes is dramatically improved using sample-controlled methods instead of conventional heating procedures. An advanced method for performing the kinetic analysis of complex processes from a single CRTA experiment is proposed. We thank Spanish Government (project CTQ 2011-27626) partially supported by FEDER funds for financial support. We are grateful to Prof. Juan López and Dr. José E. Crespo-Amorós for providing access to their lab to prepare the PVC blends.